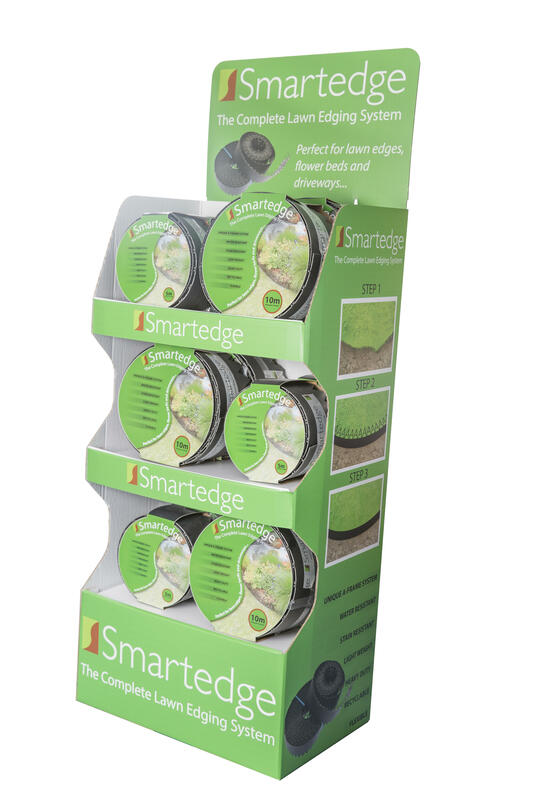 For the retail environment we have packaged Smartedge in 5m and 10m rolls which come complete with fitting instructions and 60 fixing pins. As well as this we provide a full display unit. The eye catching packaging demonstrates the product fitted and the results achievable. A must for every Garden Centre. Due to the innovative design of our Smartedge products, other brands have attempted to imitate it. They have chosen inferior materials in production causing the end product to be weak and unreliable. To avoid disappointing your customers, please ensure your choose our original Smartedge products by contacting us directly.